I made a small, white candle to light on the night of the New Moon (4th Feb) for Imbolc weekend. (How to make a candle here). The sun slanted gently through the kitchen window as I ground down the dried rose petals (for love), cinnamon (for warmth) and rosemary (to remember) for my candle. Winter is still the season I see when I look outside, but I am sure that at sometime between sunrise and sunset on the 2nd February, Spring was born. Imbolc is a Birthday. 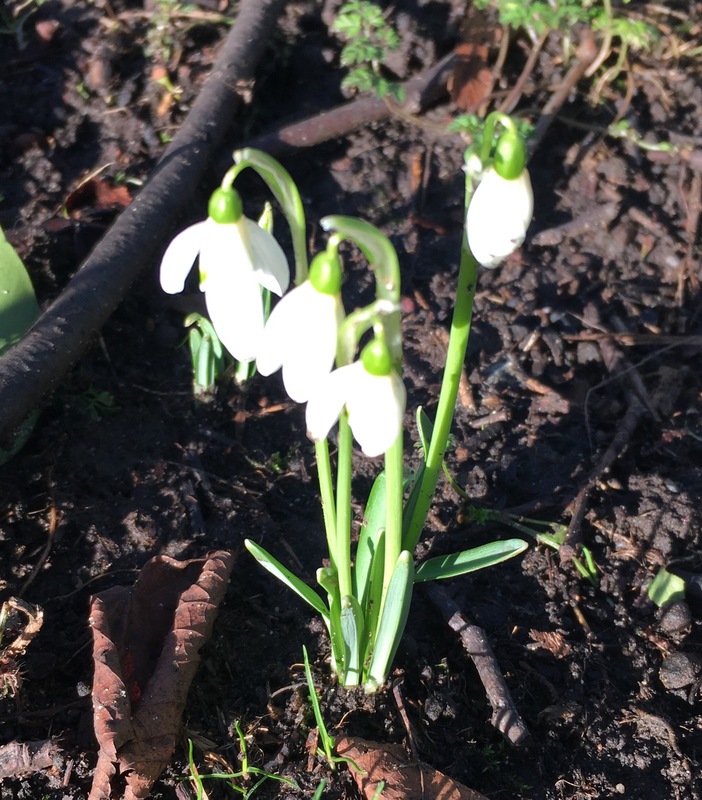 Three years previous at 5.46am, just before sunrise my Son, Rowan was born, an Imbolc baby, full of new beginnings and the early joys of Spring. I remember the same slanting light through the windows of the hospital that day as I held him in my arms, new and soft and clean. But I am outside today, and I can already see Spring, curled tightly and powerfully in the stems of the emerging daffodils. I found her under the dead leaves of my Croscosmia, when I disturbed two frogs. I can see her flying backwards and forwards in the mouths of the birds as they carry soft leaves and linings to their nests, and I can hear her in the early calls of the dawn chorus, creeping louder and earlier each day. The birds bringing Spring, little by little in their tiny mouths and on their wings. So I made my white candle, and I wished happiness into it and I wished thanks to the Winter, for its reliable cold, and calm, and dark and moments of brilliant white.